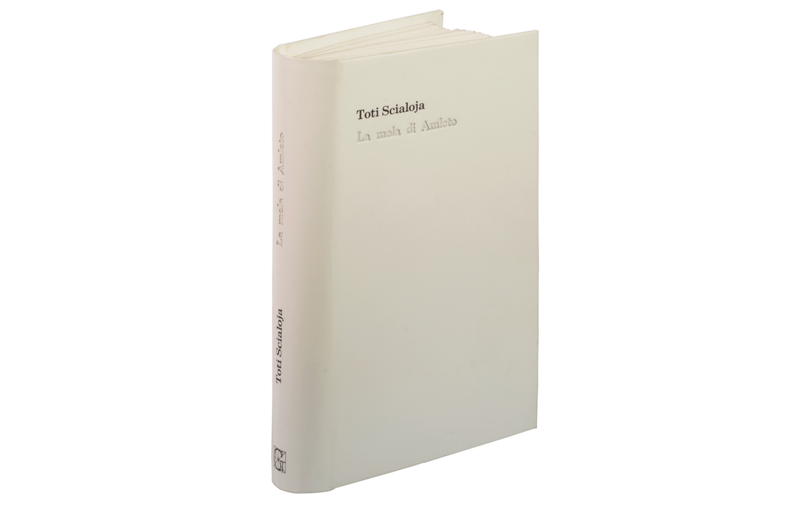 The project is a reworking of La mela di Amleto (1976 - 1977), a collection of nonsense poems by the poet and the artist Toti Scialoja. The aim of a visual book is amplify the mening of the text, combining the content of the normal book with a visual content. Scialoja experiences the infinite possibilities of the Italian language without depriving his poems of a sense. The poet sees words not contents, so the Poetry is an invention that leaves from the sound, rather from the narrative content. Sense and nonsense coexist and blend into a unique example that tends to the absolute. With the visual book I have tried to reveal the linguistic game in the composition of the poems. Sewing allows to create two separate spaces in a single sheet, separated but linked to each other, the thread passes from one side to another and allows a double reading. To identify the poems' construction, the action of sewing literally links the words and clearly shows the relationships with each oters. Turn the page in the reverse has made the hidden fatigue visual, the reader can go behind that game that at first glance seems spontaneous, but that it isn't. The threads that bind the words produce a single in which the reader doesn't see the individual connections, but the design that is the tangible expression of the creative process outlined in the author's mind. The structure of the poem itself is abstract and watched it in its essence, objectified for make the connections, distances and relationships visible. The "lost sense" Poetry recovers it when the reader understands the logical steps that are behind it. The palette is limited to the use of black and white, a choice that gives more relevence to the wires' individual colors that are representations of figures of speech. White is the content of the cover and not just an empty space. For underline this concept, the title of the collection has not been printed but impressed with typefaces to produce a low relief for emphasize the uniqueness of La mela di Amleto as poetry collection, emblematic and synthesis of Scialoja's work for this is characterized by the feeling of purity and absoluteness that guided the author in its production. 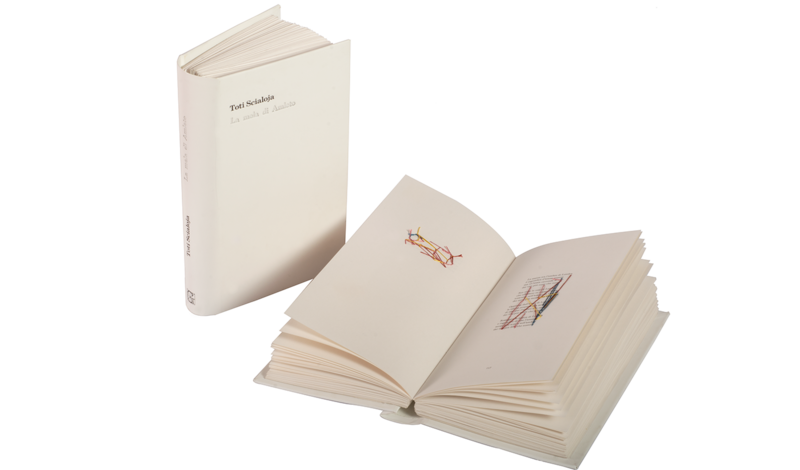 The book consists of a total of 118 poems, each one studied in its own structure and sewn by hand. Two copies of the book have been realized and personally bound, given the difficulty of the books, since the sum of the thicknesses of the strands required a particular type of binding, which could offset the thickness of the central part also on the back of the book.